Today's blog is dedicated to the beautiful children of Haiti and to our Father who loves each of us so much they He sacrificed His one and only Son so that all of us can have eternal life. Port-a-Prince is barely an hour-and-a-half from Miami. How can something so stricken by poverty and devastation be so close? Let me just say, despite the history of the Haitian nation, God is an ever-present force in Haiti and in the end, Jesus will overcome, just as promised in Revelation 12, And they overcame him by the blood of the Lamb and by the word of their testimony. And people like you and me are the hands and feet of this promise. 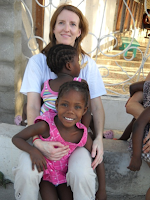 I traveled to an orphanage in Port-a-Prince in Creole. Maison is home to over 80 children, most of whom have been abandoned since the earthquake in January, 2010, either by loss of parents, or by birth parents that cannot care for them. The stateside organization which manages the orphanage is called For His Glory Outreach http://www.forhisgloryoutreach.org/. There is a school for the children from preschool through fourth grade. The school is taught in English to help prepare children for their adoptive families. The house is clean and filled with the love of nannies and caretakers that have a great heart for the children. The orphanage ministers to the people in Haiti by employing local Haitian men and women to care for the children and to teach in the school. Every day at noon, the nannies in the nursery would burst into an amazing time of prayer and worship. I sat at their feet with a baby on my lap and soaked in the sound of intercession. The way these children hugged is beyond the hug even of my own children. I’ve never been hugged like this. I can still feel their embrace. I’ve spent the last few days crying and remembering this hug. My youngest daughter asked if she could have a little sister (so that she didn’t have to be the youngest anymore. I came home empty-handed, only because most of the children have adoptive parents waiting for them. However, the paperwork sits in a pile in a Haitian government building. A typical adoption takes two to five years in Haiti. Yet, a spirit of overwhelming joy exists in this orphanage. Their eyes and smiles are bright. Their words reflect a deep love and trust in Jesus. I have included a link to a simple video from my trip. In this instance, a picture is truly worth a thousand words. Every face you see, I had the privilege of looking into their eyes. I hugged and held each child. I shared the love of Jesus and prayed over them. Jesus looked back into my eyes and smiled at me. I pray that every follower of Jesus will take the time to go out beyond their walls of comfort to pour out the love of Jesus. This is not a casual suggestion. This is a Biblical mandate. It’s our response compelled by the love of Jesus. Jody thank you for being His hands and feet. This is a very heartwarming story. 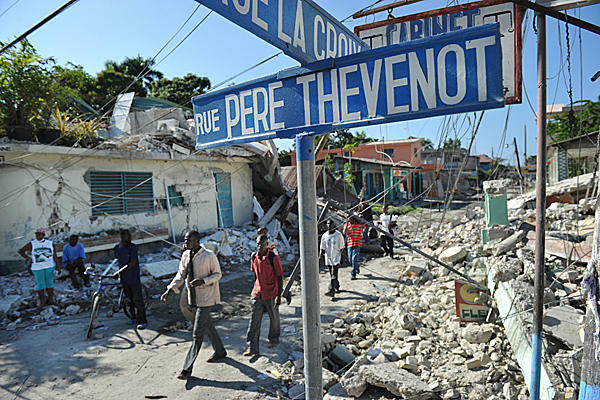 What happened to Haiti in 2010 was very tragic and I feel for these children. I work as a volunteer in a foster care in Bristol and it melts my heart to see the hope in each kid's eyes whenever an interested family will come for a visit. I do hope that Haitian government will look into this adoption case because these kids needs a home and there are obviously a lot of people who wants to adopt.